Amazing packaging! I'm impressed at the care they took to wrap the package so securely. I had it delivered to Victoria, Canada and all the pieces arrived safely. I ordered on Thursday and it arrived on Monday. This set looks even better in person. I'm really happy with the paint job and the detail of each dragon piece. 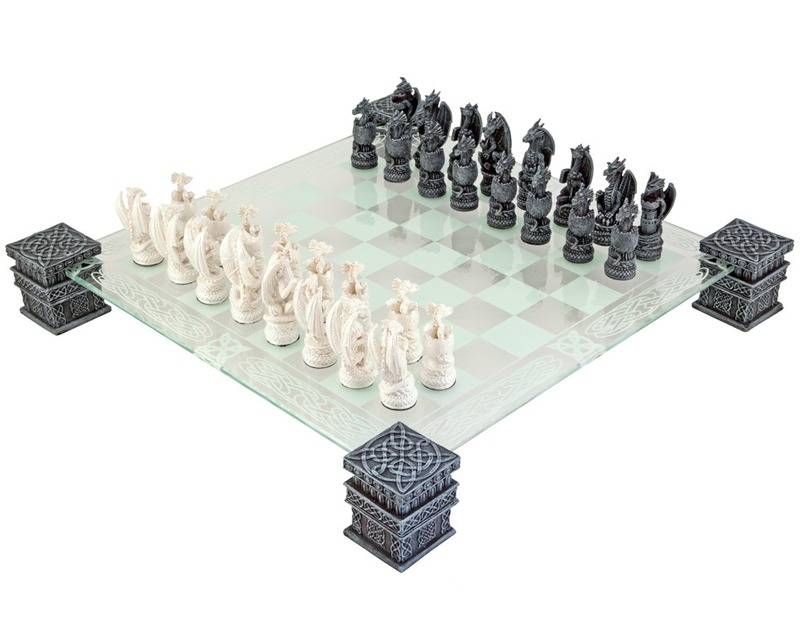 All the pieces are stable on the board except one Rook piece which has a slightly rounded bottom. It stands up fine but I might need to be careful if playing blitz chess. I'm very happy with the set, the quick delivery and the thorough packaging.